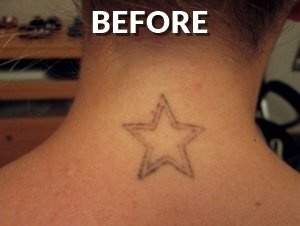 Why use a laser to remove a tattoo? Lasers emit energy in the form of light which is absorbed by the pigment in the tattoo, much like the way heat from the rays of the sun are absorbed by different colors. The absorption of the light causes the pigment to become disturbed. 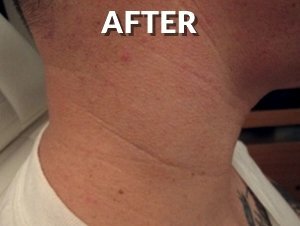 What kind of laser is used to remove a tattoo? Inkundū uses the world’s most advanced tattoo removal laser – Quanta Q-Plus C which is highly effective at removing a wide range of colored ink, with only minimal side effects. 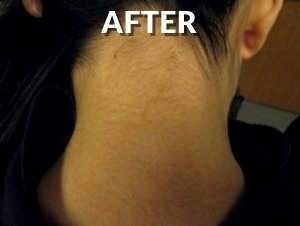 This laser is FDA-approved for the removal of dermal pigmentation. 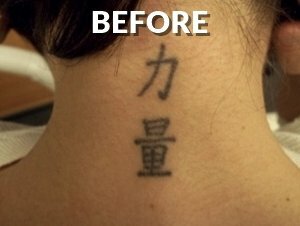 Can ANY laser remove a tattoo? All lasers do not have the ability to remove tattoo ink. The laser must have specific wavelengths to target the color of ink being removed. Not all lasers have this technology. Inkundū uses the world’s most advanced tattoo removal laser. How exactly does the laser remove tattoo ink? The laser energy is directed at the pigment of the tattoo and short pulses of energy pass harmlessly through the outer layers of the skin to disturb the pigment and cause it to break apart. 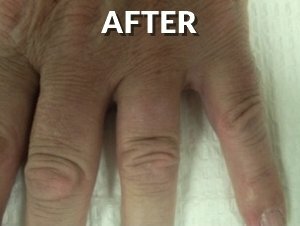 After the pigment has been broken apart it can be absorbed by your body and broken down naturally and removed by the body’s immune system. 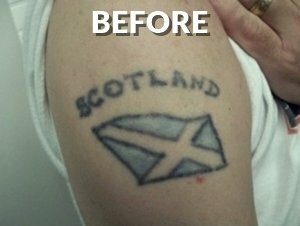 Laser tattoo removal requires multiple sessions. The Quanta Q-Plus C is the most effective laser for breaking down considerable amounts of ink when used by a highly-trained laser specialist. 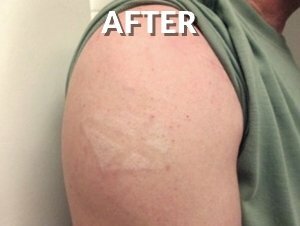 All laser tattoo removal requires multiple sessions. Tattoos are comprised of layers of ink, stacked on top of one another. This thick concentration of pigment particles cannot be completely broken down in one session. Inkundū will go over your entire tattoo with the laser, breaking up as much ink as possible in every session. Each session will produce some level of fading. In many cases, yes. However, it is very important to know that over 100 types of tattoo inks are used and none of them are regulated. 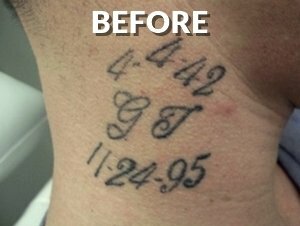 Without the standardization of tattoo inks it makes it difficult to predict the degree of any tattoo removal. We are competitive in our pricing and superior in our service. 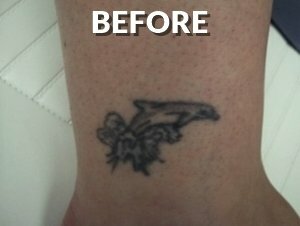 The cost of each session depends on the size of the tattoo being removed, with prices starting at $49. We will price each session during a free consultation visit however we can give a rough estimate over the phone. For purposes of pricing, we categorize each tattoo as micro, small, medium, or large. Discounts are given to individuals with multiple tattoos being removed at the same time. Micro tattoos are less than 1 square inch, small tattoos are approximately 4 sq. inches ( 2in x 2in, 1in x 4in) or less. A medium tattoo is 16 sq inches (4in x 4in, 2in x 8in). A large tattoo is 36 sq inches (6in x 6in, 4in x 9in). Any tattoo larger than 36 sq inches is custom priced per session. Immune system – Just like some people recover from illness faster, some people will have a quicker removal process. Your body will break down the pigment at its own rate. Skin type – While most skin types are treatable, skin types on the lower end of the Fitzpatrick Scale typically have a greater success rate with tattoo removal. 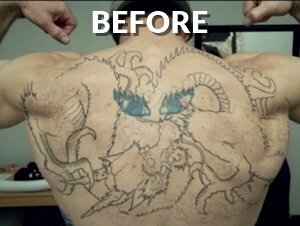 Some people will have a more visibly reduced appearance of tattoo after just one treatment. Type of ink – Inks used for tattoos are not regulated so there are many inks effecting the skin in different ways. Typically, amateur ink will respond at a faster rate than professional ink. The depth of ink – Professional tattoos are deeper in the skin than amateur tattoos and will therefore require more laser treatments for removal. Cover up work will require more treatments due to the multiple layers of ink. After your initial consultation and first visit, you will return every 4 to 6 weeks. It may take several visits to see significant results. You will notice the black and darker color inks fading faster than the brighter color inks such as red and blue. After 5 to 10 visits most of the ink will be absorbed by your body. 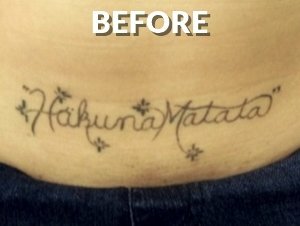 While some stubborn colors may not yet be removed entirely, your tattoo will be significantly faded or barely visible. Additional visits will be directed at any tough areas that remain. There is a 5% chance of scarring. The Quanta Q plus C laser is unique in its ability to deliver specific laser light wavelengths in a powerful and ultrashort laser pulse. 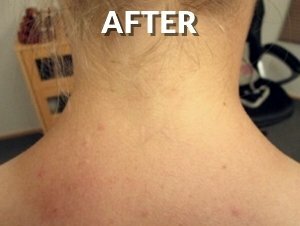 The burst of energy specifically targets the tattoo ink color with minimal damage to the skin and surrounding tissue minimizing the chance of scars. There are other factors that may increase your chance of scarring which our specialist will discuss with you during your consultation. Each tattoo removal session is much quicker than tattoo application. Patients compare the procedure to a rubber band being snapped against their skin. We incorporate the Zimmer, a technology that produces a steady stream of super-cooled air that assures you a comfortable experience.